Ground Truth Dataset, Ground Truth Dataset, 3D Scanner, 3D Reconstruction. tracking data generation of real-world objects. moreover, occlusion can also appear in the images. curate feature points of rotating spatial objects. cussed in (Scharstein et al., 2014). trackable texture in UV light. Pusztai, Z. and Hajder, L.
A Turntable-based Approach for Ground Truth Tracking Data Generation. linearly, there is no rotating object in the datasets. two low-textured objects are used. as Microsoft Kinect, but its accuracy is very limited. feature points of real spatial objects. of the same rotating object. tion (Scharstein and Szeliski, 2003). curacy of these kind of approaches is also very low. quired to calibrate the camera-projector system. brate the camera ﬁrst by the method of (Zhang, 2000). the local homography close to the chessboard corners. poses a more sophisticated estimation here. system that can yield such accurate GT tracking data. 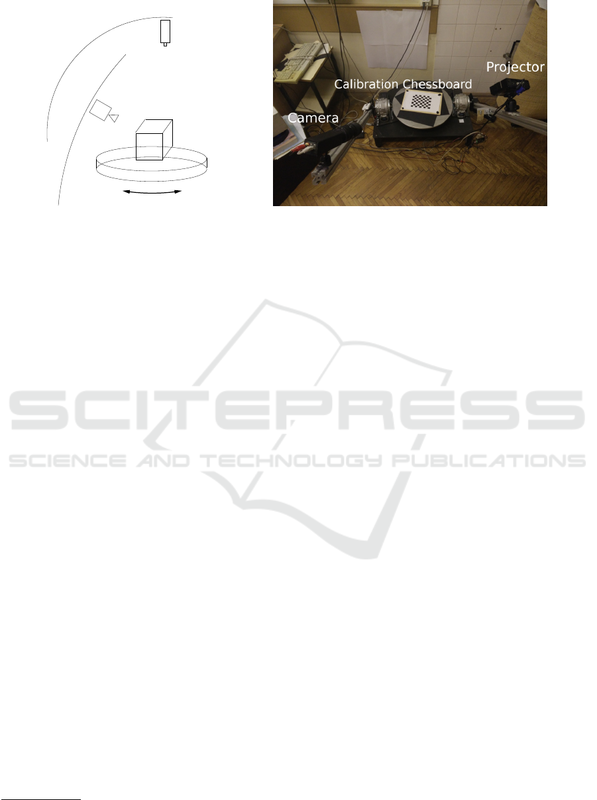 Figure 1: Hardware components of structured light scanner. Left: schematic ﬁgure. Right: Realized scanner. axis of the rotating table can be accurately calibrated. considered here, it is a possible future work. together called the intrinsic parameters of the camera. the method of (Zhang, 2000). Figure 2: Software components of the whole calibration pipeline. encodes the pixel coordinates in the projector image. meaning that every pixel on the images is reversed. tion, and for easier decoding of the structured light. viewpoint, and they are called as the image set. 1. The pixel is lit on the ﬁrst image. 2. The pixel is not lit on the ﬁrst image. • otherwise it cannot be determined. but the intrinsic parameters will not. plane; other 2 DoFs: direction) . Fortunately, the current problem is constrained. the turntable (Kazo and Hajder, 2012). rithm that is overviewed in the rest of this section. also known, in other words, they are calibrated. new plane orientation is also parallel to the turntable. where α denotes the current angle of the rotation. 2D coordinates in image space. the applied coordinate system can be arbitrary chosen. (ycosα + x sin α)). 20 − 30 iterations are required to reach the minimum. Moreover, we have tried more sophisticated methods. is an arbitrary point within the chessboard region. ters have not to be estimated. our global coordinate system is ﬁxed to the camera. 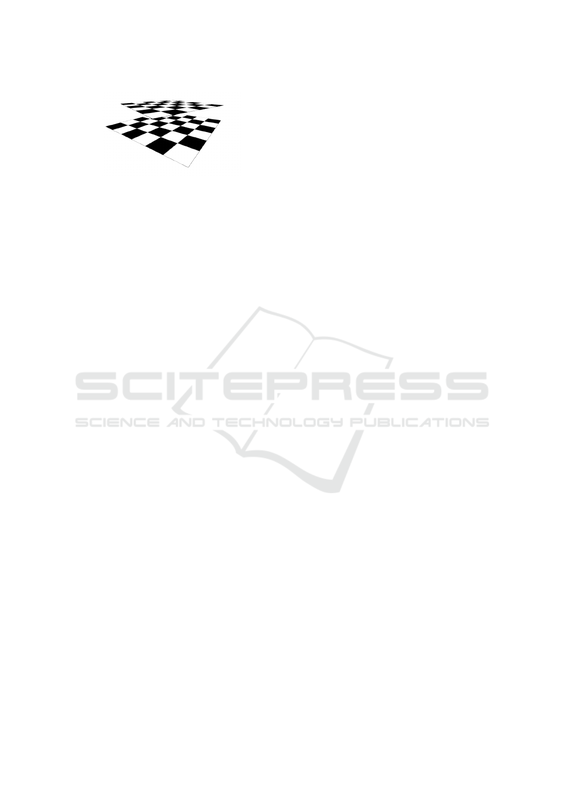 Figure 3: Visualized chessboard planed in the ﬁrst position. the surface of a usual ﬂacon. dog into the testing database. is the determination of a plane-plane homography. ples, but arbitrary feature generators can be included. structed in the ﬁrst image using the structured light. pixel, in other word, subpixel accuracy was reached. 2592 × 1936 (5 Mpixel). Figure 4: Two images of the ’Dino’ sequence and the reconstructed 3D point cloud from three viewpoints. Figure 5: Two images of the ’Plush Dog’ sequence and the reconstructed 3D point cloud from three viewpoints. Figure 6: Two images of the ’Flacon’ sequence and the reconstructed 3D point cloud from three viewpoints. Figure 7: Two images from the ’Poster’ sequence. to generate, describe, and ﬁnally track good features. tracker for the generators based on our tests. algorithms ’BF L2’ and ’BF H2’. trackers are visualized in the plots of Fig. 12.
by a grid within valid image region. Bottom row: features generated by SIFT method. a grid within valid image region. Bottom row: features generated by SIFT method. generated by a grid within valid image region. Bottom row: features generated by SIFT method. comparison will be published very soon. ’Dino’, Plush Dog’, and ’Poster’ testing objects. work of our GT generation project. tracking data of rotating real-world spatial objects. rate tracking data as well as realistic 3D point clouds. Alcantarilla, P. F., Bartoli, A., and Davison, A. J. (2012). Kaze features. In ECCV (6), pages 214–227. ear scale spaces. In British Machine Vision Conf. to geometrically calibrate projector-camera systems. 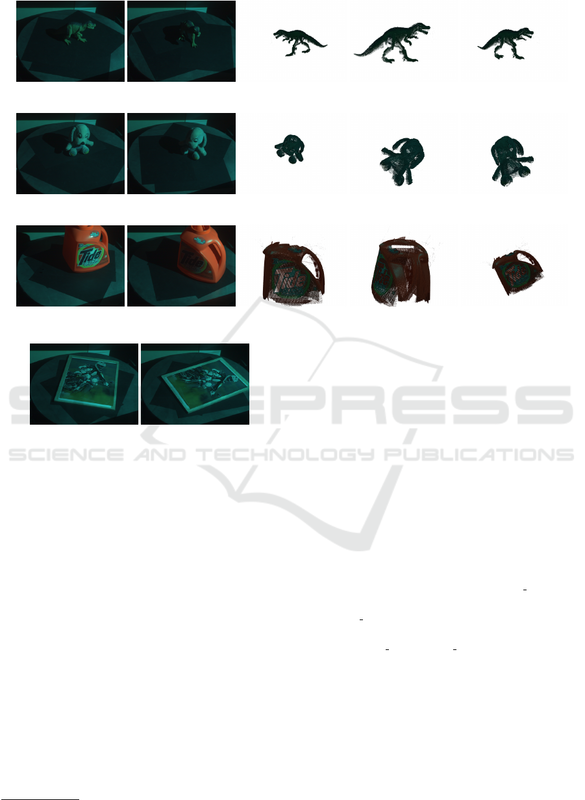 shops, pages 47 – 54.
cation to image analysis and automated cartography. Commun. Assoc. Comp. Mach., 24:358–367. ”Fitzgibbon, A. W., Cross, G., and Zisserman, A. (”1998”). munications (CogInfoCom) , pages 553–557. tional Journal Computer Vision, 81(2):155–166. Leutenegger, S., Chli, M., and Siegwart, R. Y. (2011). 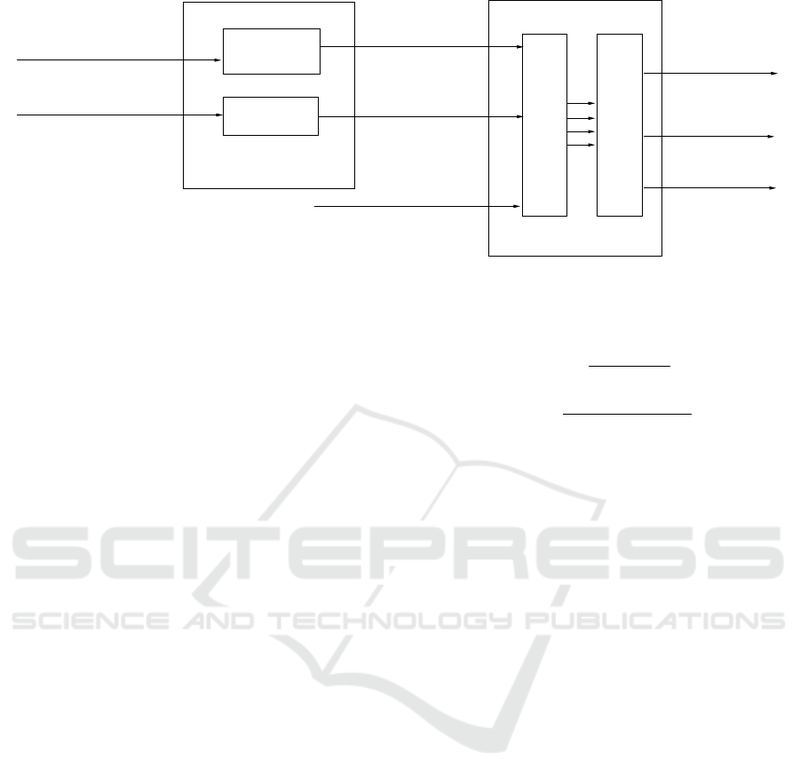 Advanced Intelligent Mechatronics, pages 770 – 774. Switzerland, October 13-15, 2012, pages 464–471. est neighbors with automatic algorithm conﬁguration. 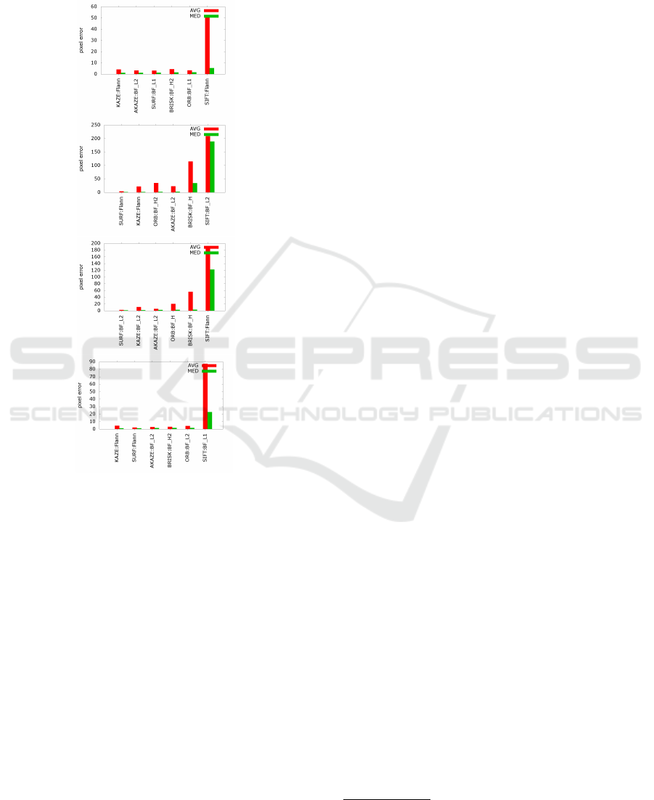 Vision Theory and Applications, pages 331–340. 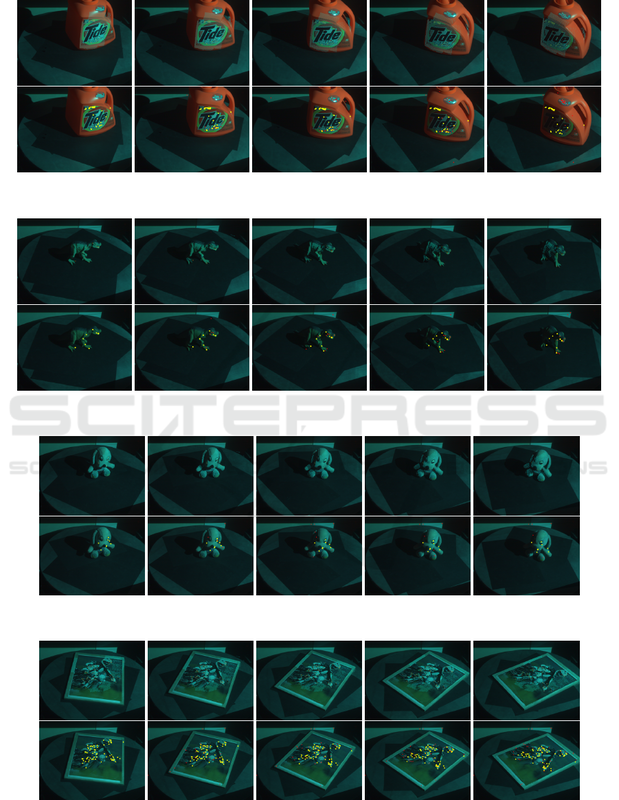 ponents of a scene using high frequency illumination. Pal, C. J., Weinman, J. J., Tran, L. C., and Scharstein, D.
phy. In ICPR, pages 320–323. (2011). Orb: An efﬁcient alternative to sift or surf. on Computer Vision, ICCV ’11, pages 2564–2571. Sadlo, F., Weyrich, T., Peikert, R., and Gross, M. H.
G., Nesic, N., Wang, X., and Westling, P. (2014). ber 2-5, 2014, Proceedings, pages 31–42. June 2006, New York, NY, USA, pages 519–528. Conference on Intelligent Robot Systems (IROS)”. 30, 2007, Montreal, Canada, pages 233–240. 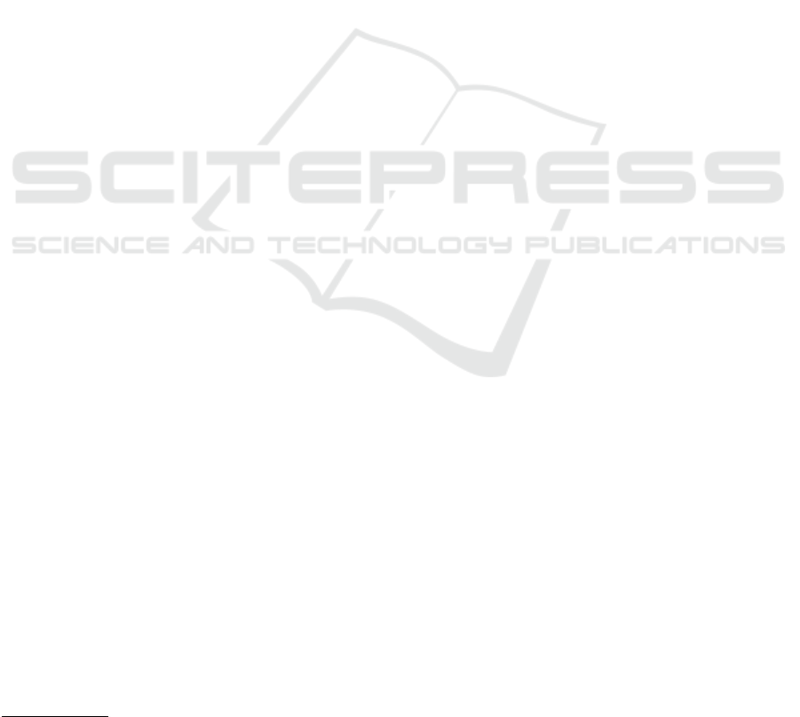 Conference on Pattern Recognition, pages 1–4.